Lithium Batteries are found in almost every electronic device that we use today; from watches, to cell phones to tablets. Even larger items such as electric wheelchairs and chainsaws utilise the power of these batteries to operate. As varied as the types of the items are that contain Lithium Batteries, so are the groups that interact with them. The safe transport of lithium batteries by air is a responsibility that is carried by all people that use this technology. It is important that the passenger who brings a laptop computer on board to complete work and the supplier of goods that will be transported on the aircraft know what regulations apply to them. The freight forwarder who accepts consignments needs to know what to look out for when accepting consignments and what may and may not be transported. The ramp handling agent and airline operator who will pack the plane and transport the goods, need to know how to do this safely. Everybody needs to know how the regulations for Lithium Batteries applies to them, so that everyone can work together to ensure that this ubiquitous commodity is transported safely around the world. The IATA Dangerous Goods Regulations (57th Edition) details the packing instructions for the transport of the different types of batteries. Specific Freight forwarders and other entities have also developed their own guidance material based on these regulations. There are a wide number of resources that are available, so no one should miss out on the knowledge that is needed. From i-Pads, tablets, laptop computers, cell phones, digital cameras, the ordinary passenger may carry many devices with them while travelling. The transportation of these devices are also governed by various regulations and passengers need to be informed about they are allowed and not allowed to take with them, and what they are allowed to take with them on-board a plane. An integral part of the supply chain, from the manufacture of lithium batteries, to the supplying of goods and shipping of goods around the world, manufacturers and suppliers have a vast responsibility. 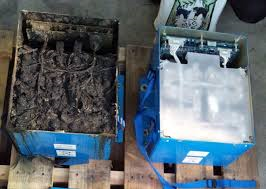 They need to make sure that the lithium batteries that are used in their products are manufactured according to UN standards and are packaged and shipped correctly. The majority of Air Cargo around the world moves through Freight Forwarders and Regulated Agents. At the forefront of the freight industry, this group needs to make sure that their staff are well trained and are informed about the safe transportation of lithium batteries by air. Responsibility for the safe stowage and transportation of cargo lies with the Ramp Handling Agents and the Airline Operators. 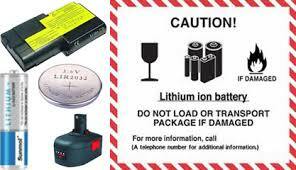 It is vitally important that these two groups have the correct information with regards to the lithium batteries that are allowed to be transported and those that are not.